Comment on Make $200 Now by DK. I agree on latest shiny ball syndrome and the $7 offer. It’s going rather overboard at the moment. Thanks for the value you provide in the Platinum Mastermind Group, Vic. For $25? That’s crazy good! I like that you actually do what you teach. Many people just teach. As far as product launches goes, certainly had my share of watching a few people at the top do well at product launches at EN. It was quite captivating however the veneer of glitz hid the truth. This is a much better path…. 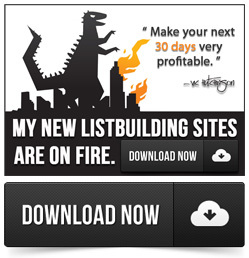 Thanks Vic for making marketing much more simple…versus a lot of sites or gurus who send you on a wild goose chase. Sharing principles of marketing clearly, step by step and giving away value ( besides teaching you how to do that) is priceless. Like an oasis in the desert. Make $200 a day is a diamond hiding in plain sight.